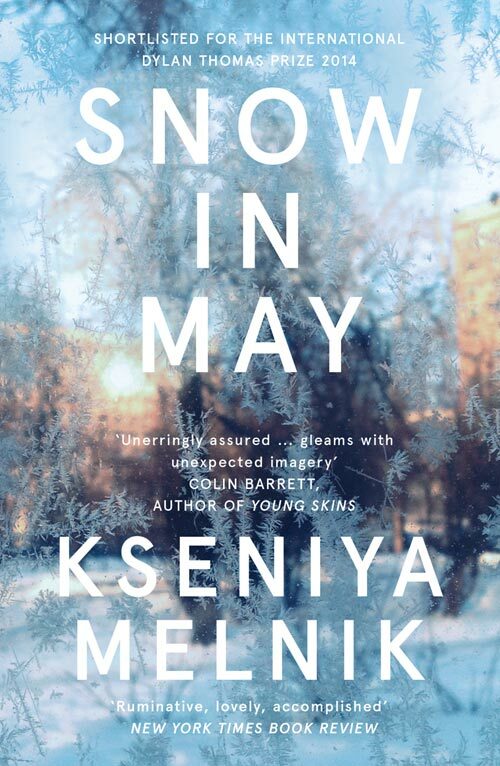 Published in the US by Henry Holt & Co.
Kseniya Melnik's Snow in May introduces a cast of characters bound by their relationship to the port town of Magadan in Russia's Far East, a former gateway for prisoners assigned to Stalin’s forced-labor camps. Comprised of a surprising mix of newly minted professionals, ex-prisoners, intellectuals, musicians, and faithful Party workers, the community is vibrant and resilient and life in Magadan thrives even under the cover of near-perpetual snow. By blending history and fable, each of Melnik's stories transports us somewhere completely new: a married Magadan woman considers a proposition from an Italian footballer in '70s Moscow; an ailing young girl visits a witch doctor’s house where nothing is as it seems; a middle-aged dance teacher is entranced by a new student’s raw talent; a former Soviet boss tells his granddaughter the story of a thorny friendship; and a woman in 1958 jumps into a marriage with an army officer far too soon. Weaving in and out of the last half of the twentieth century, Snow in May is an inventive, gorgeously rendered, and touching portrait of lives lived on the periphery where, despite their isolation—and perhaps because of it—the most seemingly insignificant moments can be beautiful, haunting, and effervescent. "Kseniya Melnik’s assured debut Snow in May is a book about extremes. In the Russian Far East, her characters cope with extreme weather, extreme punishment and deprivation, and extreme change as the USSR falls apart. These stories are a wonderful introduction to late-twentieth-century Russia and to Kseniya Melnik, a talent for the twenty-first century." "Melnik is very talented, and this is an unerringly assured and dextrous first book. It’s a big compliment when I say it merits comparison to Jennifer Egan’s wonderful A Visit from the Goon Squad – the way perspectives prismatically glide from character to character and era to era, showing the simultaneously redemptive and remorseless work of Time in lucid and elaborate cross-section. Needless to say, though each story works on its own, they build beautifully together.